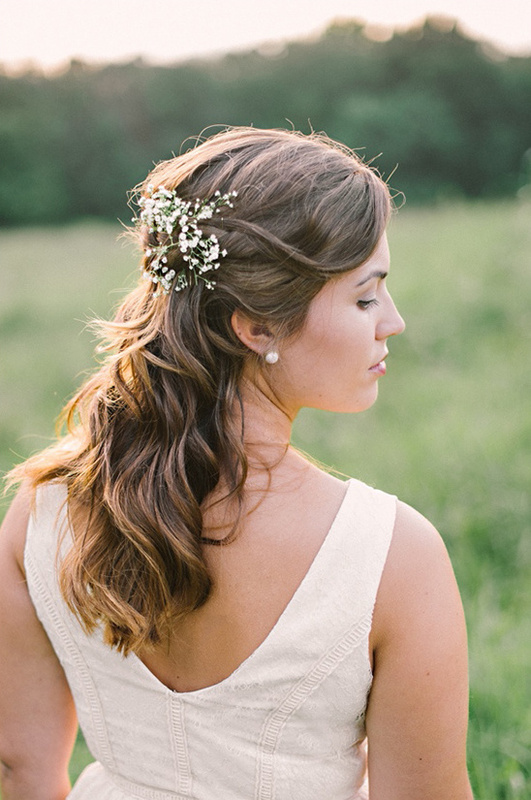 There's no reason why your big day can't be fun, relaxing, and full of pretty too. 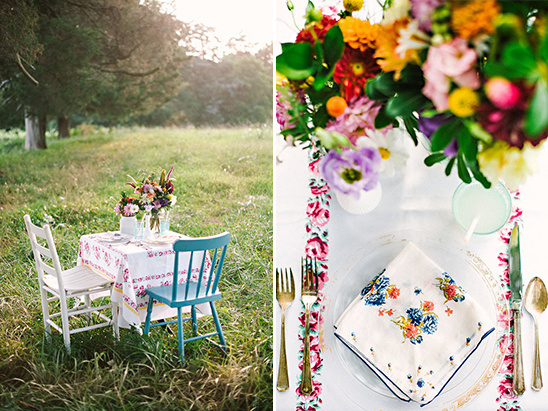 To show how easily this can be done North Carolina event planner, Blissful Whimsy Events put together a simple, fresh, and super darling day. You will be pinning all the way to the cute little table for two to the scrumptious cake baked by Tania's Mixing Bowl. 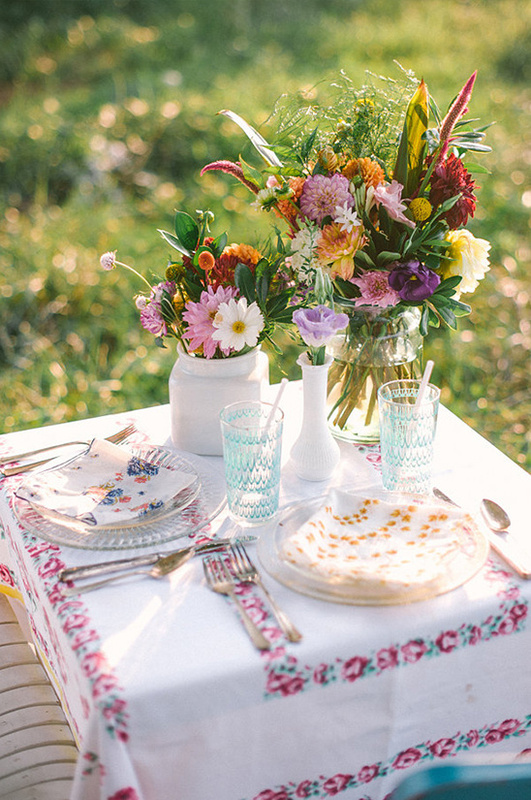 Vintage patterns and bright colors will catch your eye no matter where you look. 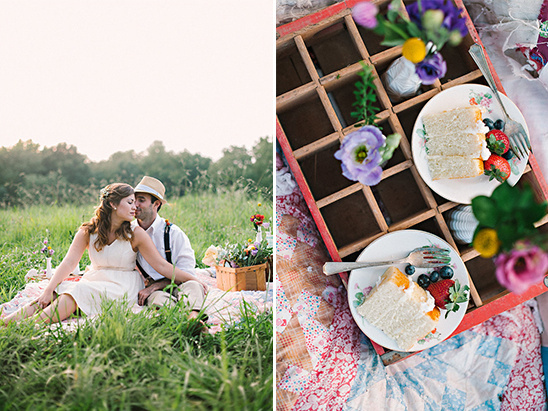 Take a breath, relax a little, and explore the full gallery for this picnic wedding for two here. All captured by the talented Mark Potter. 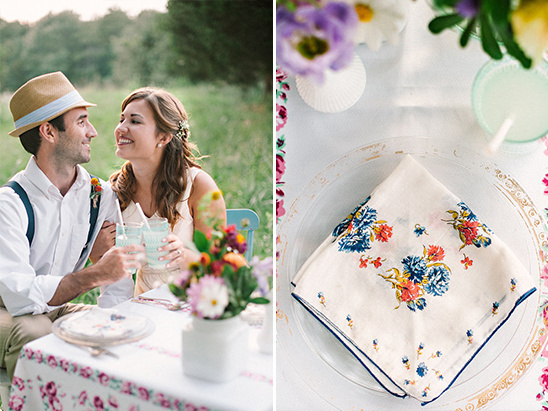 This shoot was really inspired by vintage floral tablecloths. 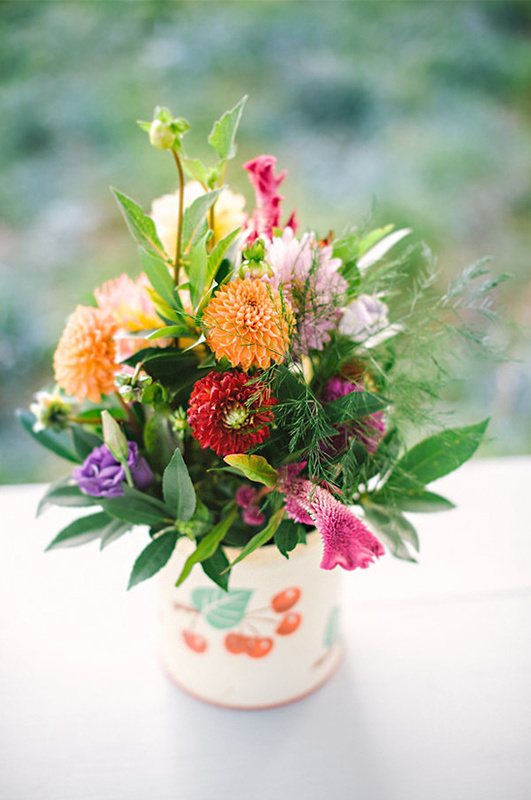 I’ve always loved the cheerful colors in them and the delicate and pretty designs. 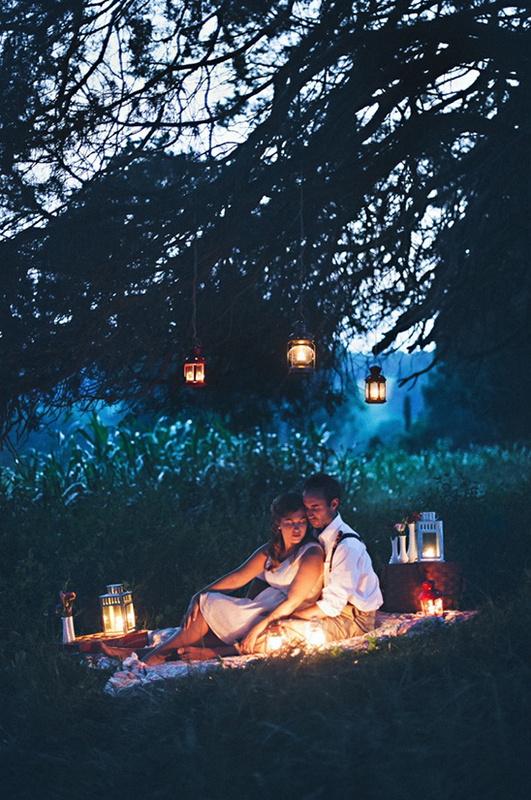 The look we were going for was relaxed and intimate; like it’s a special gathering that was lovingly put together with the most special pieces. The flowers were from the farmers market. 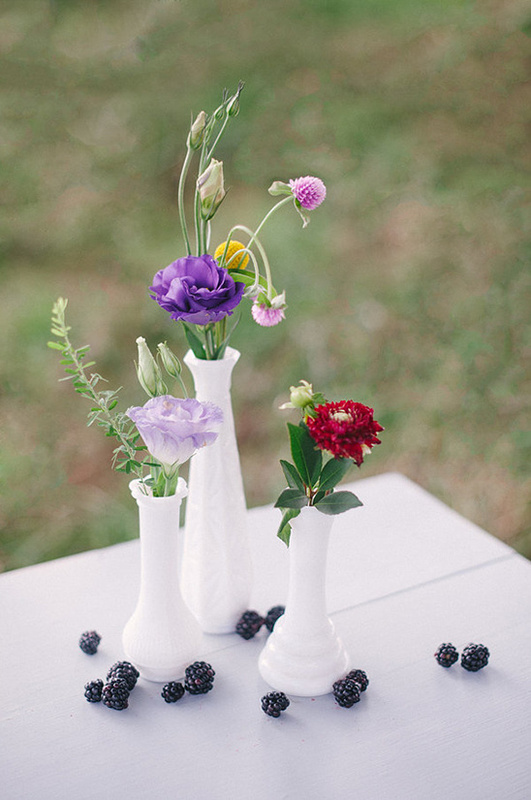 I can’t imagine anything more cheerful than wildflowers in milk glass vases. 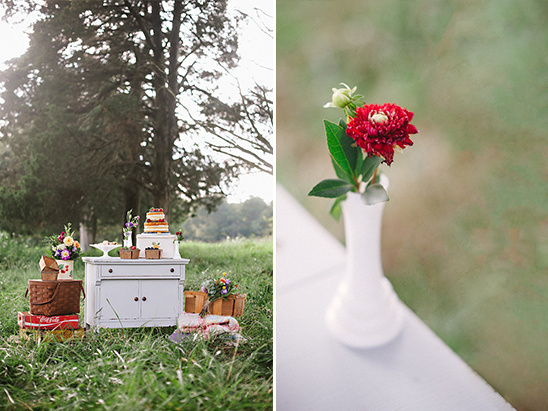 We rented special pieces we found and I used many of my own favorite things to add more personality. 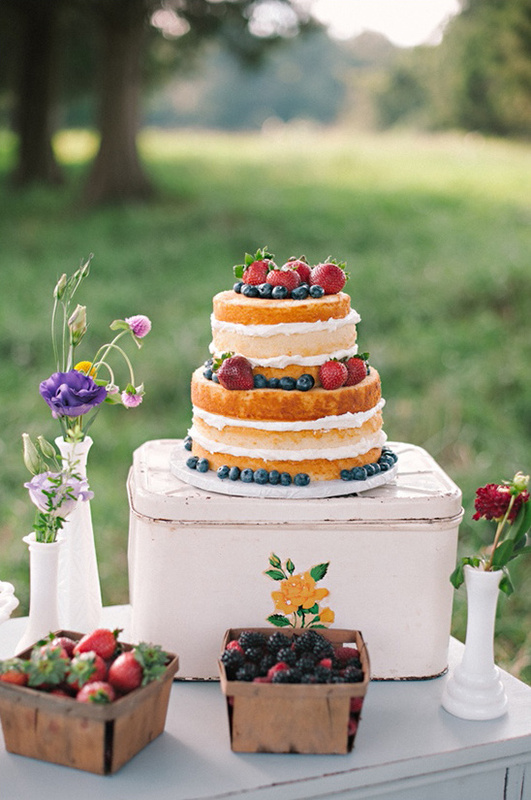 The “naked” cake is perfect in its own modest, yet special way. 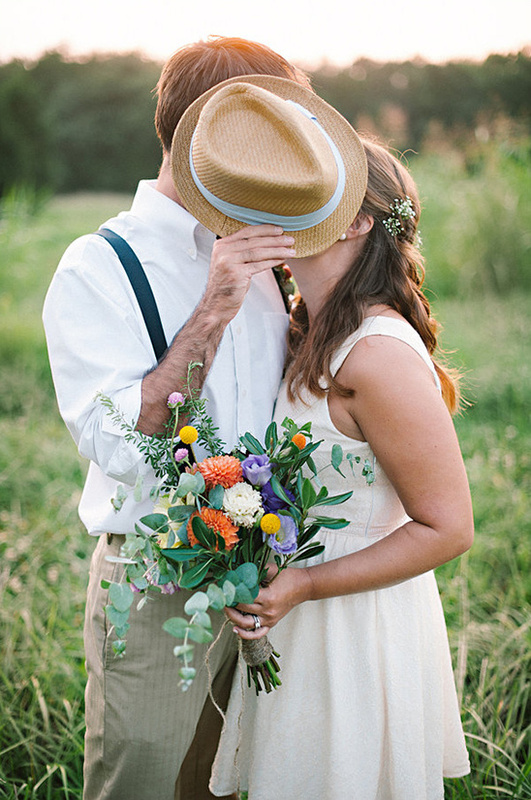 The lush green leaves, tall weeds, and streaming sunshine in the background are the epitome of summer in the south. A real life couple that has been married about six years were sweet enough to be our models and I think their love and affection for each other is evident in the beautiful moments Mark captured.